Chiu, a rising senior, said that the address made her enthusiastic about what her future at Dartmouth would bring. According to Kos Twum ’21 Dartmouth lingo appears to be unique to the College’s undergraduate community. Similarly, although she thinks that it “sounds kind of gross to say,” Twum thinks that the term “Blobby” — a nickname for the ornate lobby of Baker-Berry Library — “is very convenient because everyone knows exactly where it is” in the massive building, which contains more than 1.5 million volumes among 320,000 square feet. Natalie Vaughan ’20 loves the term “flitz,” which denotes a flirtatious email that students send to one another via blitz, a common nickname for the campus’s Microsoft Outlook email system. Vaughan equally enjoys using the term “fritz,” which she defines as a blitz that students send to their friends or to people with whom they hope to become friends. She clarified that a “fritz” can consist of anything from a humorous blitz sent to one’s best friend to an email sent to an acquaintance about potentially getting a meal together. Not all terms on campus generate positive feelings and reactions from students, however. For example, Vaughn recalls feeling troubled her freshman year when she first learned about the “Dartmouth X”: a supposed phenomenon in which romantic desirability increases among male students and decreases among female students over the course of four years at the College. While Vaughan still believes that the concept of the “Dartmouth X” is harmful to campus culture, she has learned over the course of her freshman and sophomore years that the “X,” while well-known in some circles, is not a prevailing orthodoxy among Dartmouth students. Being “facetimey” involves spending time in public, high-traffic locations — such as Novack Café, FFB (First Floor Berry), Collis Student Center and KAF (King Arthur Flour Café) — with the objective of being seen. “A-side” and “B-side” describe social status, with “A-side” as the more desirable title. Chiu said that being “facetimey” often has a mildly negative connotation, which can be unfair because many students spend time in public spaces on campus. Similarly, “A-side” and “B-side” can “in some ways be problematic” because they can connote “top-tier-ness or social capital” among student groups beyond the Greek system. 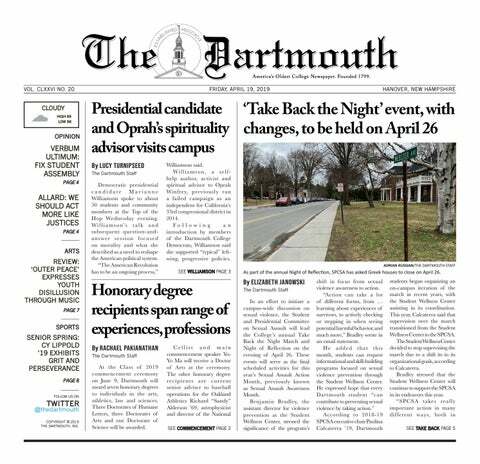 Overall, Vaughan believes that, even though Dartmouth’s array of unique terminology poses benefits and problems on campus, it ultimately reflects the College’s character. Recognizing that the assortment of idiosyncratic terms on campus can be puzzling for incoming freshmen, Chiu, Twum and Vaughan all encourage first-year students to ask upperclassmen if any terms confuse them. Chiu is a former member of The Dartmouth Senior Staff.